That means apple cider, haunted houses, and near constant temptation to devour Halloween treats. If you’re looking to offer a healthier treat this Halloween, look no further. Here is a list of no-trick treats that will satisfy both trick-or-treaters and adults alike. Granola Bars: They come in sweet or savory, and soft an crunchy options and make a great on-the-go snack or breakfast alternative. Check the labels to be sure to choose the lower in sugar options and be sure to choose some nut-free varieties to offer those who might have sensitivities. 100 calorie packs: Many snack companies now offer healthy-sized single serving packs of pretzels, popcorn and other a lower sugar, savory treats! The 100 calorie packs create the perfect portion size for kids. Be aware that although these are low in sugar, they contain 9% of your daily value of sodium. Jack-o-lantern clementines: Particularly good for parties or lunch box treats. 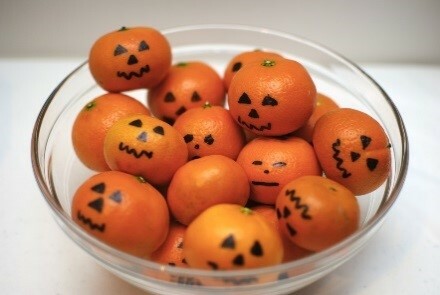 Use a Sharpie to draw jack-o-lantern faces on unpeeled clementines to create a scary cute snack! Clementines are a good source of dietary fiber, thiamin, folate, potassium, and a great source of Vitamin C.
Nonfood treats: Yes, you can still be a cool house and not hand out candy. Dollar Store party favors typically come in packs of four or five for just $1! Popular ideas for Halloween night include glow sticks/glow bracelets, noise makers/whistles, beads, and mini frisbees just to name a few. 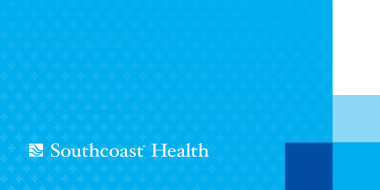 Halloween doesn’t have to be scary, but remember everything in moderation!